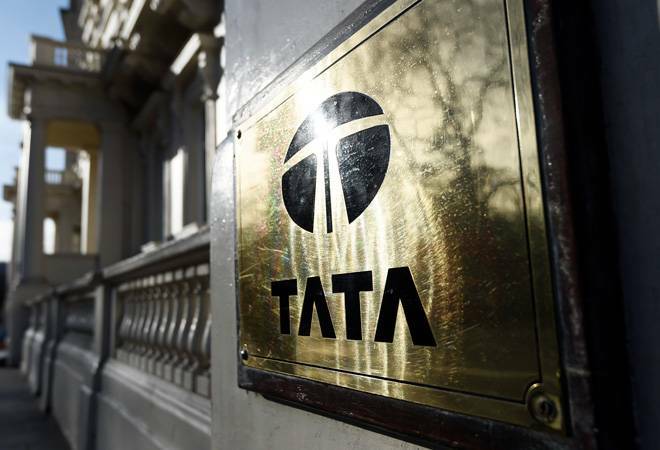 Tata Trusts, which holds 66% of the equity capital of Tata Sons, appointed TVS Group Chairman Venu Srinivasan and former defence secretary Vijay Singh as vice chairmen of the seven public charitable bodies under its fold. Tata Trusts, which holds 66% of the equity capital of Tata Sons, yesterday announced the appointment of TVS Group Chairman Venu Srinivasan and former defence secretary Vijay Singh as vice chairmen of the seven public charitable bodies under its fold. Tata Sons is the investment holding company of the $103-billion conglomerate that is India's largest. These elevations not only indicate that the duo will manage the affairs of the Trusts in the absence of Chairman Ratan Tata, but also signal a step towards succession planning, The Times of India reported. This is perhaps the first time that non-Tata, non-Parsi members have been given leadership roles at the Trusts, which contribute Rs 1,200 crore each year to philanthropic activities in sectors, including healthcare, nutrition, education, rural upliftment and the arts. Their appointments were unanimously approved by the trustees of Sir Dorabji Tata Trust (SDTT), Sir Ratan Tata Trust (SRTT), JRD Tata Trust, RD Tata Trust, Tata Education Trust, Tata Social Welfare Trust and Sarvajanik Seva Trust in a meeting earlier on December 12, Tata Trusts said in a statement. Among these trusts, SDTT and SRTT are the two biggest philanthropic arms, collectively owning nearly 52% of Tata Sons. Singh, a former defence secretary, was inducted as a trustee of SDTT and SRTT three months ago, but Srinivasan, chairman of TVS Motor, was brought on the board of SDTT in 2016. The other common trustees on SDTT and SRTT are old Tata hands, Noshir Soonawala, R.K. Krishna Kumar and R. Venkataramanan. Singh and Srinivasan are now the two most powerful men in Tata Trusts, which, according to the holding company's Articles of Association, can nominate one-third of the directors on Tata Sons' board. To understand the clout wielded by the Trusts one only need look at its role in Cyrus Mistry's ouster in October 2016. Before joining the Trusts, both the newly-appointed vice-chairmen have served on the board of Tata Sons. While Singh stepped down from the director's position at Tata Sons on reaching the retirement age of 70 years, Srinivasan continues in the post. The buzz earlier was that Wednesday's meeting of the board of trustees would see Ratan Tata's stepbrother Noel Tata, chairman of group company Trent, as well as his son Neville finding a seat on the board, but post the latest changes, the matter remains unaddressed. According to the daily, the post of vice-chairman has been revived after several years post a restructuring of roles at the Trusts following Bain Capital MD Amit Chandra's decision to step down from the board of SRTT. The late Jamshed Bhabha, former director of Tata Sons and chairman of National Centre for the Performing Arts, was the last vice chairman of SDTT back in 2007. Although Chandra continues to represent the Trusts on the board of Tata Sons, he reportedly plans to give up that seat, too, in the near future. Seventy-year-old Singh and 66-year-old Srinivasan have been handed a three-year term at the Trusts, but they could reportedly be reappointed for successive terms without age restrictions. Group patriarch Ratan Tata, who will turn 81 in a couple of weeks, is expected to follow in the heels of JRD Tata to hold the chairman's position at the Trusts for life.